Muller du Plessis says he wants to contribute to a reversal in the Blitzboks’ fortunes at this weekend’s Vancouver Sevens. 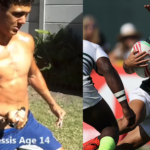 Muller du Plessis’ childhood training programme, developed by his father, gave him a crucial head start in rugby, writes SIMON BORCHARDT. 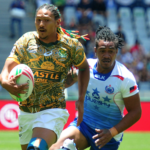 Blitzboks Muller du Plessis and Justin Geduld are in a race against time to be fit for the Hamilton Sevens. 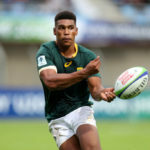 Junior Boks flyhalf Damian Willemse has been ruled out for four to six weeks with a knee injury that he suffered in the win against Ireland. 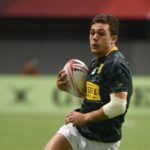 Teenage sensation Muller du Plessis says he is excited by the prospect of shifting his focus to fifteens for a while, after a successful spell with the Blitzboks.